There are over 520 ski resorts in the United States, and many of them boasting world-class snow and terrain. With over 7,300 acres of terrain, none is bigger resort than Park City Mountain, featuring terrain parks, bowls, and a half pipes. It just so happens that Eagle Superpipe has been a venue for the 2002 Winter Olympic Games, the FIS World Championships, and numerous Grand Prix events. A ski resort this big can be a bit overwhelming, so keep your beanies battened down. First things first: Where to stay. 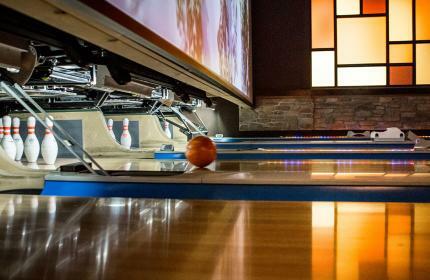 The resort features two base villages, Park City Base Village, located near Historic Main Street, and Canyons Village, located just a few miles from Kimball Junction. 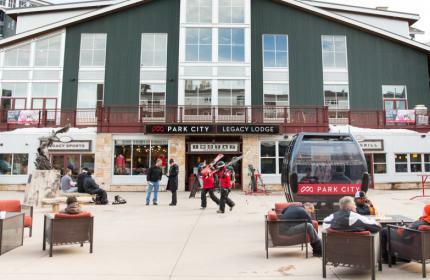 Given that there is a city-wide free transit system guests wishing to ski at Park City have a wide variety of options available to them. 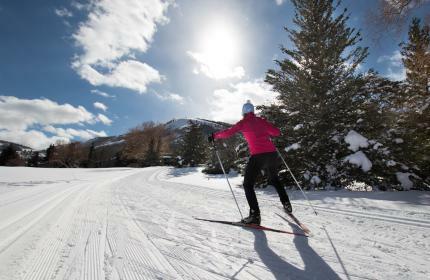 The Canyons Village offers several ski-in/-out options including the newly renovated Grand Summit Hotel, Sundial Lodge, and Waldorf Astoria. Park City Mountain has a team of reservation agents available to help you plan the perfect ski vacation. 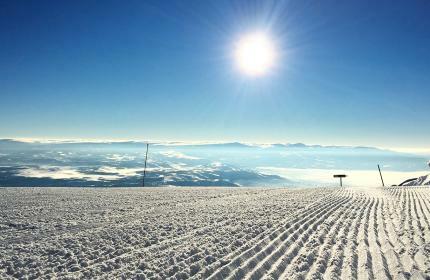 You may also view current winter deals and packages to keep you skiing affordably. With all of that skiable landscape with dozens of bowls and terrain parks, it’s hard to imagine that not all of that space is dedicated to skiing and snowboarding, but there is too much rich history to learn about and too much fun to have in the snow than just the slopes. Park City&apos;s history is steeped in silver mining, and numerous preserved old mining buildings and relics nestled into the hillside. Take a tour with an expert guide to these discrete locations and get an education while you shred the slopes. For the adrenaline-inclined, Park City offers snowmobile tours over groomed trails through forested mountain terrain and see a side of Park City few get to. You can also hit the trails with guided snowshoeing hikes as you switchback through copses of aspen trees and take in Mother Nature up close and personal. Or strap in a feel the rush of the Alpine Coaster, a toboggan-style car zipping down the mountainside on a steel track, or the Flying Eagle, a zip line that whips you through the crisp winter air high above the slopes. After a full day on the mountain, choose from a variety of après options. All season long you can catch an Après (from the French meaning after) snack and drink at the Legends Bar & Grill and embellish some stories from the slopes. 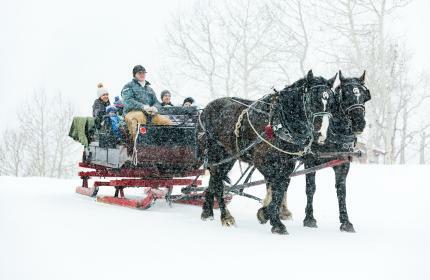 You can also jump in a horse-drawn sleigh at the base of the mountain for a half-hour, skidding over groomed runs before landing at a mountain lodge where live music and Western-style food is on the menu. Or take a 25-minute cat ride up a ski run to the Viking Yurt where you’ll be greeted with hot spice glogg served in a pewter mug followed by a five-course dinner with the soothing sounds from a baby grand lilting through the air. Park City Mountain is a unique place for many reasons, including the ticketing. 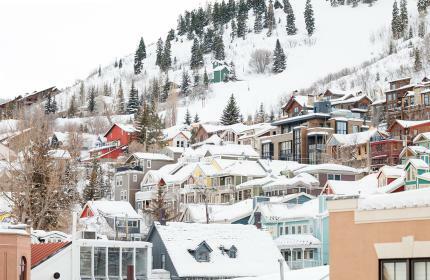 Before coming to town, you can order an EpicDay card, at least seven days in advance of your arrival (14 for international visitors) and Park City will ship the card right to your door. If you didn’t manage the order in time, simply pick one up from a EpicDay Express window at one of the resort base areas. Hold on to this card! You can add more days to it later on and bypass the line at the ticket window. This pass can also be reloaded and used at other Vail resorts across the country—there are over a dozen. Epic Passes are also available during certain times of the year that can get you access to over a dozen other resorts, all season long. Come early in the season and stay late into the spring. The snow at Park City Mountain is world class, and the mountain is as big as they come.